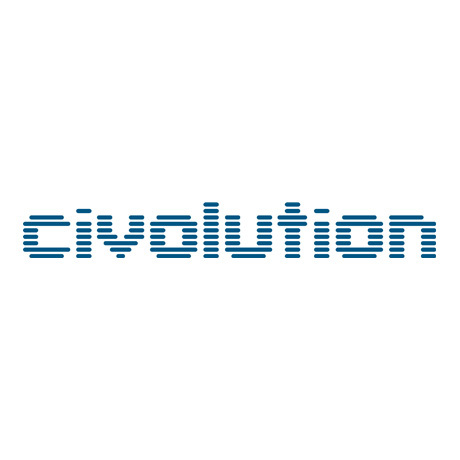 Eindhoven, The Netherlands, June 11, 2014 –– Civolution, the leading provider of technology and solutions for identifying, managing and monetizing content, today announced that its award winning SyncNow® Automatic Content Recognition (ACR) was used for the first time in a live concert event at the ‘Toppers in Concert 2014’. The concert’s mobile app, ‘Toppers Live’, was available for download on both iOS and Android devices, and was used by concertgoers attending the ‘Toppers in Concert’ shows (May 24th and 29th-31st, Amsterdam Arena, The Netherlands). Civolution worked with innovator Robbert Schep, owner of RS New Media Concepts and “Toppers in Concert” to develop ‘Toppers Live’, a free smartphone application that allowed audience members attending ‘Toppers in Concert 2014’ to become part of the real-time arena light show. 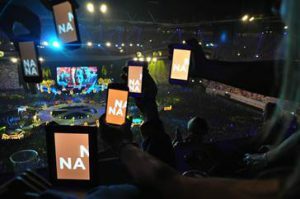 Attendees’ mobile devices running the app saw their screens manipulated in synchronization to the on-stage performances taking place at a given moment during the multi-day event. In one example use, attending concertgoers had their phones lit red, white, or blue based on their individual location within the stadium, creating a stadium representation of the Dutch national flag.